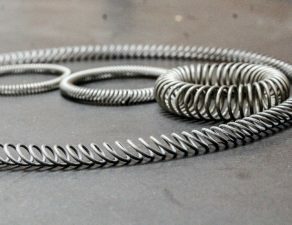 Garter springs are coiled steel springs, connected both ends to create a circular shape. They are commonly used in oil seals, belt-driven motors, and electrical connectors. Compression garter springs exert outward radial forces, while extension garter springs exert inward radial forces. The manufacturing process is similar to the creation of regular coiled springs, but by also joining the ends together. Similar to most springs, garter springs are typically manufactured with either carbon steel or stainless steel wire. 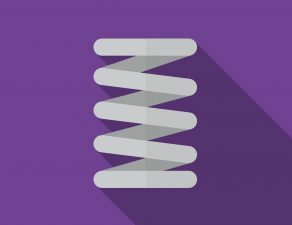 Since they are able to withstand forces from all directions, garter springs are effective at handling changes in volume, pressure, temperature, and viscosity.